Short sales in Provo occur when property values drop or inflated appraisals were obtained, making the property worth less than the amount of its mortgage. This means when a seller enters into a purchase contract to sell for an amount that is less than the home’s present mortgage balance, if the seller isn’t bringing in money to close, the lender must approve the short sale. That’s because the lender is taking a loss. Are you looking to buy a Provo Short Sale? Paul Teasdale of Team Teasdale Realty has been helping buyers and sellers with short sales in Utah County since 2000. Hire an experienced Realtor that can help you purchase a short sale in Provo Utah. Remarks: Price Approved. Easy to show! Sold as-is; Price terms and commission subject to bank approval. Great deal in NE Provo. Bring us an offer~! Short sales are not always bargains for a buyer. It doesn’t mean the buyer is purchasing the property under market, and it can take a long time to close, if it closes at all, among a host of other reasons. Not all lenders will approve a short sale, and many short sale prices that are advertised are not real prices. They are guesses at what it takes to sell the home. I have seen some really great deals on short sales over the years. Many buyers looking for a short sale get frustrated by the waiting process to purchase a short sale. The seller of a short sale often does not submit their short sale packet to their bank until after they have secured an offer on a home. This causes a delay. I did one short sale that took 25 months for Wells Fargo to approve. My team did another one that was closed within 40 days. I think the average length of a short sale in Utah County is probably around 5 months. If you are looking to buy a short sale contact our team and we will help you. 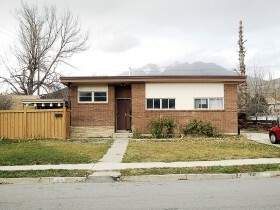 List of Provo Utah Short Sales that are available today.